Sophisticated software and simple steps | theraceforthecafe.com . Last Saturday (21st January) was my first race of 2017 and last Friday my old Garmin Edge computer decided to expire – timing was a bit inconvenient. My plan for the Saturday was to ride to the race at Croft Motor Racing circuit, to race in the Velo 29 Winter Series E1234 V29 and then ride home. But without a Garmin! not being able to analyse my race data! without being able to upload to Strava afterwards! No Kudus from my army of followers! – no way! 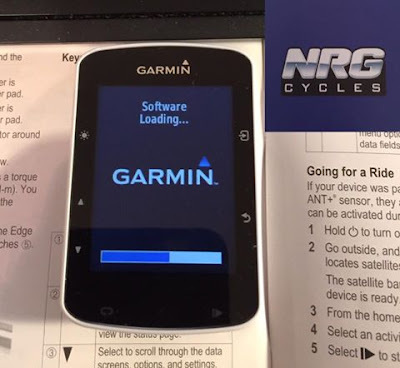 So I had to make a Friday afternoon panic purchase of a new Garmin 520 from my good friends at NRG cycles NowOpenSundays which saved a desperate situation. Although I still had two problems to sort, setting up said Garmin and figuring out how to use it – a bit more complicated than my old Edge. 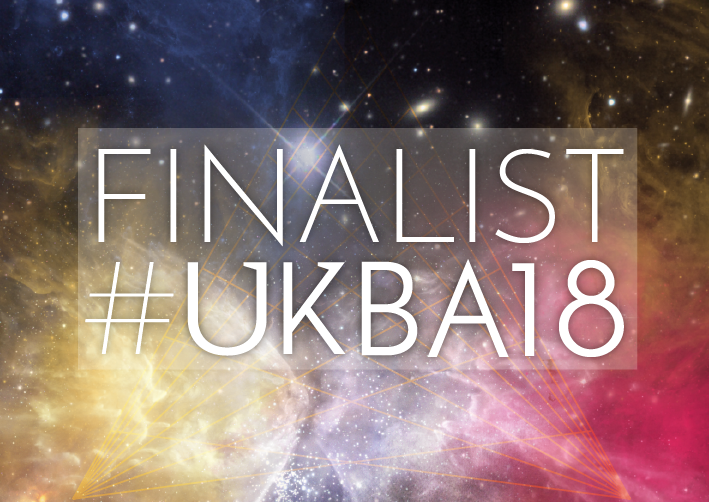 My PhD (which you are probably sick of hearing about so I wont mention it again - this week!) was intended to be a study of the everyday lives of racing cyclists in training but because of the technological developments that took place during the four years that it took me to complete my thesis it became a study of social change driven by technology. So I have been thinking a lot about change generally. 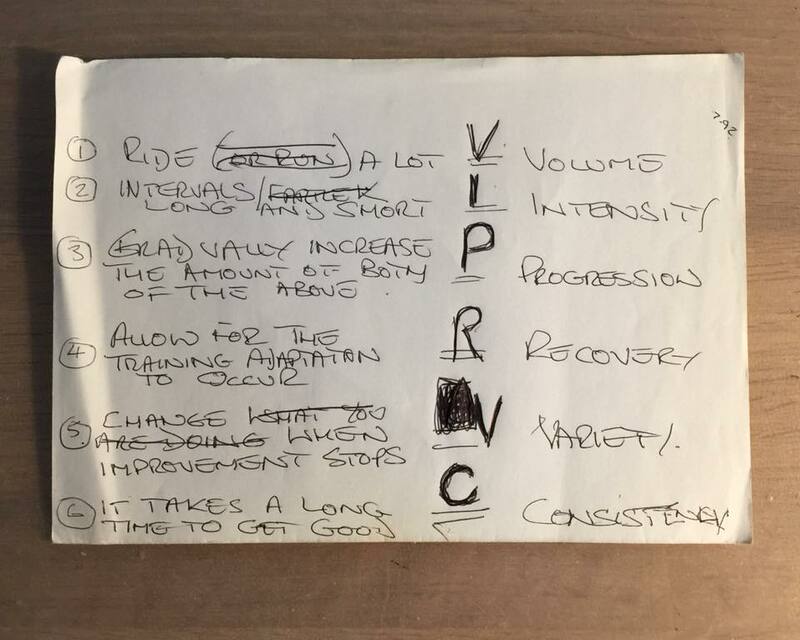 The 'nightmare' experience of not having a functioning Garmin got me thinking back to a time not too long ago when cycling and training generally was a lot simpler than it is now - when we just used to write stuff down - odd as it may seem. During my time as a triathlete I meticulously recorded my training in 'day to a page'’ diaries. I needed a full page because I trained a lot! Looking back through the diaries from my Ironman years (pictured) definitely makes for interesting reading. I learned a lot during that period but I also made a fairly fundamental mistake - I didnt rest enough! I spent several years in what was probably an over-trained state - I know that now, I didnt know it then. 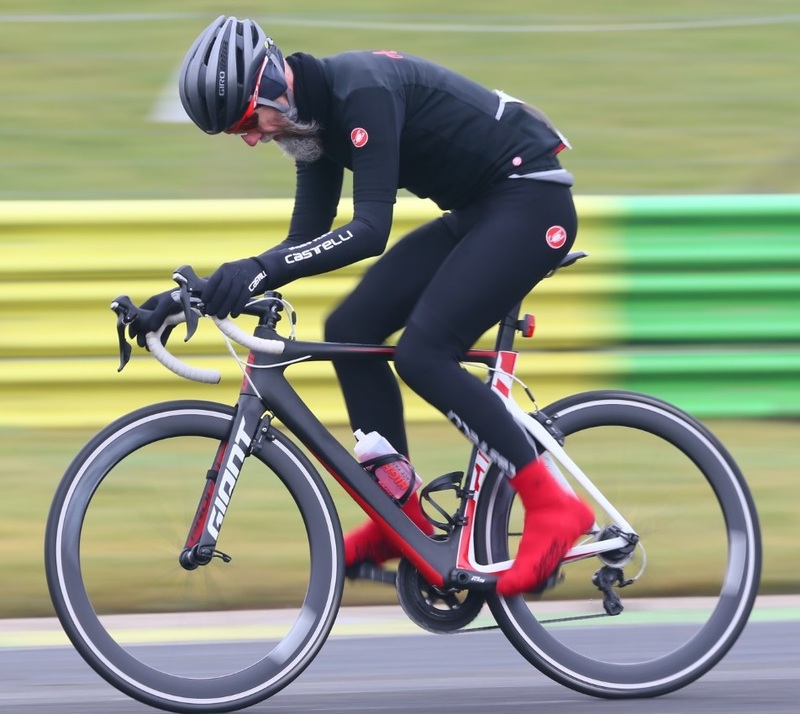 Overtaining syndrome is difficult to recognise (especially in yourself) and I may have just been 'under-recovered'.OT Either way, I now firmly believe that my performances over the Ironman distance would have been better if I had trained less and recovered more. 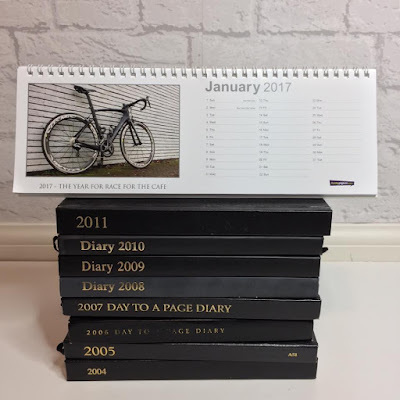 The 'day to a page' training diaries from my Ironman years - grim reading! While the incredible technology now available to us continues to provide new training opportunities and the data becomes more and more complex, it is still important to remember that getting fit doesn't need to be really complicated. When I was looking through some of my diaries (and reminding myself how obsessed I used to be!) 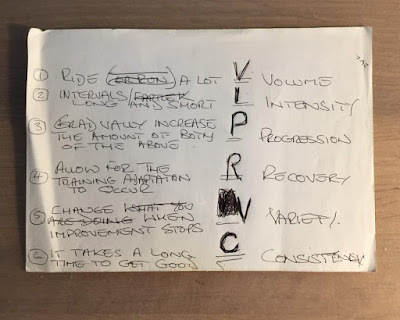 in the 2006 edition I found the piece of paper pictured below detailing the training principles that I believed in at the time (even though I conveniently ignored #4) I think the six points are still very valid today. I have changed the order a bit and summarised them below, I have also added another important one, specificity, along with some links to sources with bit more information. Unfortunately technology still got the better of me last Saturday. I had data for my warm up ride and data from the ride home. But somehow I failed to start the Garmin at the start, so no race data - this of course means that in the virtual world of Strava 'game play' my opening race of the 2017 season didnt actually happen.